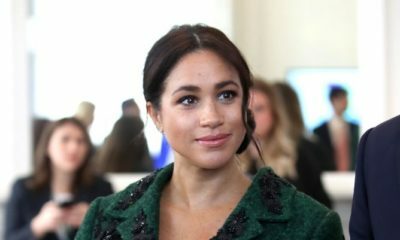 Meghan Markle's father says he thinks his daughter is "Terrified"
Meghan Markle‘s father Thomas has in an interview said he feels his daughter is terrified. He told The Sun that he feels Meghan is being put under pressure by the royal family, and the smile she often wears is a pained one. My thing about my daughter right now is that I think she is terrified. I see it in her eyes, I see it in her face and I see it in her smile. I’ve seen her smile for years. I know her smile. I don’t like the one I’m seeing now. This one isn’t even a stage smile – this is a pained smile. That might be just having a couple of bad days. I don’t know. It really worries me. I think she’s under too much pressure. There’s a high price to pay to be married to that family. 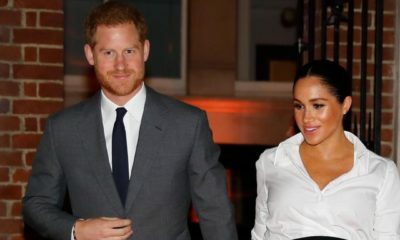 He also lamented the Royal Family’s dress code and values, complaining that there’s no reason why Meghan should be required to cover her knees in 2018. Meghan seems like something out of an old movie. Why in 2018 are we dressing like the 1930s? Why do they have to cover their knees? I think Meghan is in deeper than I am. I’m not blaming Harry or anyone but they are following rules that don’t make sense to me. They are no less human than anybody else. God knows, I feel sorry for them, for not being able to show emotion. 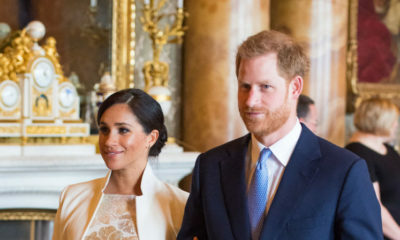 Thomas, who could not make the wedding because of a heart attack, added that he’s being shunned because of his staged paparazzi photos prior to his daughter’s wedding to Prince Harry. The reason I am being shunned is because I made a profit on the staged pictures. Anyone who makes a profit off the Royal Family becomes shunned. But I could have made well over $100,000 by just doing a talk show. So if I moved to London and started selling cups with my daughter’s face on, would they shun me? The Royal Family is living by rules that are outdated. Half of Great Britain seems to make a fortune selling pictures of my daughter and her husband. Are they shunned? Does this make any sense to you or anyone else? I don’t get it. I have already apologised to the Royal Family. I honestly think that if the Queen took the time to think that she would not see me because I did some stupid photographs, that is ridiculous. I have had a fairly successful life. I’m fairly outspoken about certain things but I’m no different to any other father. But half of Britain aren’t Megan’s family or her dad, so people of Britain doing something and you doing something is not one and the same thing. Also, your daughter is aware of what she is doing and the family she entered, be happy for her, appreciate that she is making a good wife and duchess and let it rest!! Some parents sha! Attention seeker! Papa you had your chance of being a part of your daughters life but blew it big time. Exploiting her in the most disgraceful way. Are you in her body to know if she is happy or not. Cant you just be happy for her. Kwasaisem! Lol, Miss Fine you are just too funny that I have to like and comment. Your daughter obviously knew what she was getting herself into, the Royal family are known for keeping old traditions,which they won’t change for your daughter. Seeking attention for pity sake after you made money from your own daughter in a shameful manner, let her enjoy her new home. Never heard of father-in-law dramas. You actually tearing down your daughter’s marriage, let them be pls! I like thay type of terrified look. Daddy Meghan, abeg stop talking to the media. Just call your daughter to find out how she’s doing, abi she don block your number? With family like this who needs enemies. Imagine a father insinuating rubbish about his daughter’s new marriage as if she is a victim of domestic violence. She has to dress like a LADY and have her dresses touch her knees…shes not half naked anymore…OH WHAT A TERROR!! You already wont behave and hush..and they are shunning you..imagine the RISK you will be if they let you into the inner room where they keep all the family secrets. By now you would have held a press conference. Its not every family you can take with you to greater heights….send them a cheque in the post. C’mon shut up! She doesn’t look terrified to us, she looks happy and in love and please don’t pull that “I am her Father” crap. You were not there when she needed you to be there, you don’t have any right to be interpreting her smiles anymore than we do. She is happy! She loves the man that she married and she knew he was a royal when she married him. Biko didi, your Prince Charming is here to make you terrified, look no further. I’m an Importer, Exporter & ready for your love girl. Am sure that his heart issue for an excuse not attending his daughter’s wedding is s hoax. There is more to it. the same people that paid him to read a book about britain in that coffee shop have paid him again. this man is a shameless man. what an excuse of a father. I agree. Of course Meghan is terrified. Of him and his big mouth. Take a hint Mr Markle. STOP. TALKING. TO. THE. PRESS. Rumour has it that he is on TMZ’s payroll and they keep coming up with lines for him. So this man can’t shut his mouth for a year at least. Hi am. Leave Meghan and Prince Harry alone they have had enough of your blunders. You and your other children simply lack home training. Terrible family. Causing the poor girl embarrassment left right and center. If Meghan’s papa continue to rant unnecessary, I hope he will not go the same way Diana did.